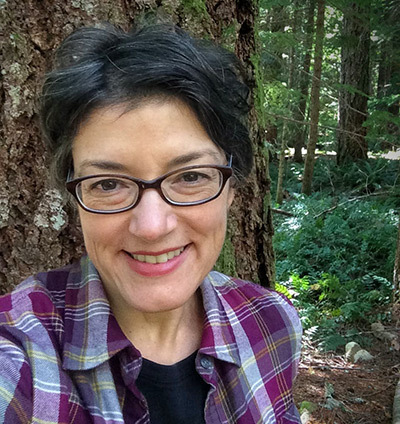 Lauren Danner is the author of the forthcoming book Wilderness Crown Jewel: Creating North Cascades National Park, to be published by Washington State University Press in late 2017. For more than 15 years, she has researched and written about the North Cascades, one of the largest intact wildernesses in the lower 48. The book traces the history of North Cascades National Park from early proposals to the park’s creation in 1968, arguing that changing wilderness consciousness in the mid-20th century influenced the politics and the final configuration of the new park. Danner writes about national parks, national forests, and wilderness at wildernesswithinher.com. Young professionals who came to Seattle during the 1950s were drawn by economic opportunity and the glorious natural environment. Hiking and camping in Washington state’s national forests, they saw firsthand the effects of increased logging, a response by the Forest Service to the demand for more timber in the postwar period. Clearcuts exposed river valleys that served as gateways to alpine recreation, and stumps and slash piles replaced cool, damp forests. Worried about the loss of unspoiled recreation lands, these professional became conservationists, working with organizations like the Sierra Club for permanent protection of the vast, rugged wilderness of the North Cascades. At the time, the Forest Service managed all of the North Cascades. But the agency’s multiple-use paradigm did not easily allow it to seriously consider preserving a large chunk of the North Cascades for wilderness recreation and scenery. On the other hand, conservationists were concerned about the development proclivity of the National Park Service, with its wilderness-scarring scenic roads and emphasis on visitor services. Reluctantly at first, conservationists decided to pursue a national park. They did so in part because the North Cascades fit the traditional notion of what a national park should be: monumental landscapes on a grand scale and, with the construction of the North Cascades Highway across the range, a means for travelers to enjoy those landscapes. At the same time, the region’s wilderness was scenic and largely untouched, giving rise to a wilderness-centric national park campaign. Conservationists leveraged successfully the flux experienced by the National Park Service and Forest Service in the mid-20th century as each tried to serve rapidly diversifying constituencies and respond to the Wilderness Act. The end result was a masterful political compromise, a complex of national park, national recreation area, and statutory wilderness. North Cascades National Park, Ross Lake National Recreation Area, and Lake Chelan National Recreation area, comprising about 674,000 acres, went into Park Service management. The Forest Service retained jurisdiction over Glacier Peak Wilderness and the new Pasayten Wilderness, comprising about 968,000 acres, as well as the existing national forests surrounding all of the new management units. No one involved got everything they wanted; no one involved came away entirely displeased. Studying a map of the North Cascades today is tantamount to viewing politics at work. There may be no better indicator of the political nature of the park than the fact that the Forest Service drew the park boundaries. The North Cascades is a wholly political entity, a product of changing wilderness consciousness and politics in the 1950s and 1960s. My time at Grey Towers has allowed me to complete edits to the manuscript, especially strengthening sections on the Forest Service and its philosophy during the 1950s and 1960s. These changes have significantly improved the book. “It is an honor to work in Gifford Pinchot’s ancestral home. Grey Towers was a crossroads of the conservation movement. John Muir stayed here, as did Bob Marshall. It is an extraordinarily inspiring place to think and write. I work in a round tower office on the third floor, and am convinced the uninterrupted circular room increases my productivity. Swivel the chair 180 degrees and the rolling grounds of the estate spread out below, with stately trees selected by Gifford Pinchot himself adding depth and history to the scene. This is a place that encourages intellectual and physical wandering, through forests of trees outside and forests of books within. The wonderful staff embody the professionalism and dedication that is the hallmark of public service and that Gifford Pinchot exemplified. How fortunate Pinchot was to live here, and how fortunate I have been to experience a little of that, even for a too-short time.